Running an e-commerce store involves numerous moving parts, many of which involve a high degree of complexity or one-on-one interaction in order to keep customers happy. Technically, it has never been easier to set up an online storefront. However, sustaining any type of long-term success can be a difficult task, even for the most experienced online sellers. After all, you’re dealing with people. People, as you know, can be wildly unpredictable and irrational creatures. Yet, people generally respond to polite, courteous and prompt customer service. No surprise there. So, why then do so many businesses fall short when it comes to customer support? Depending on which data you review, the general consensus is there are somewhere between 12-24 million e-commerce storefronts on the internet today. Yet, only a small fraction of those stores are making more than $1,000 each year. Delivering superior customer support can instantly differentiate you from the competition. 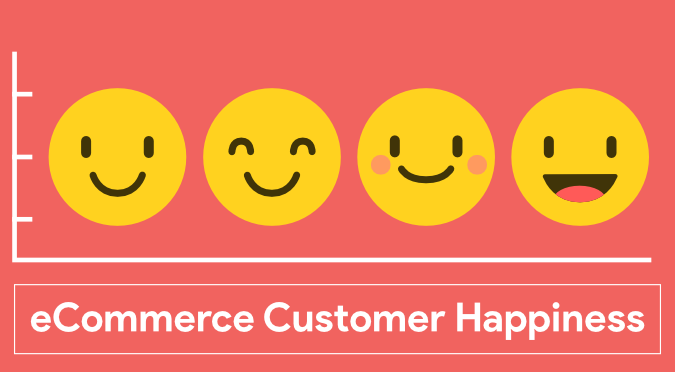 So, we’ve compiled a list of six recommendations to help turn your e-commerce customer support into a retention-driving tool for your business. Exclusive Bonus: Download the FREE Cheat Sheet to turn your customer support strategy into a revenue-generating machine! It should come as no surprise that customers consistently rank interactions with customer support staff as one of the most important purchasing decisions. However, many e-commerce businesses oftentimes have trouble staffing customer support teams with the right people. Customer support isn’t for everyone; it takes the right type of individual (usually one with thick skin and a delicate touch) to resolve high-priority customer support requests day after day. Add in the fact customers expect 24/7 support and it becomes even more difficult to set up a customer support team from scratch. This topic alone deserves its own post. Your goal is to put together a high-performing, empowered team. 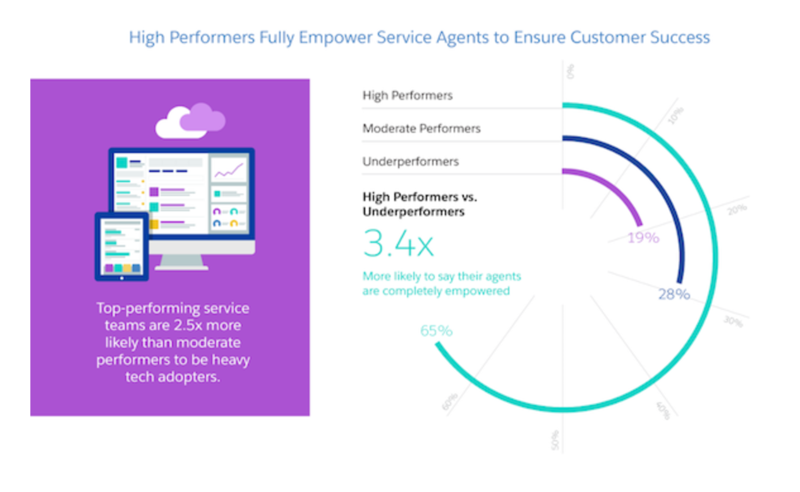 All you have to do is look at Salesforce’s 2015 State of Service Report to understand the impact a highly empowered support staff can make on your business. If you’re struggling to find the right individuals for your support team, LiveChat has a Support Hiring Guide available for download that can be quite helpful for e-commerce business owners looking to scale their support teams. Believe it or not, many customers don’t want to talk to another person — whether that be in-person, via live chat or on the phone. Some simply want to resolve the issue themselves. Posting FAQs or creating a knowledge base (help center) of helpful information where customers can accurately diagnose and resolve their own issues can provide a number of benefits. First, fewer support tickets can lead to faster response times. In an ideal world, your response times will always be exactly where you want them to be. Although, that isn’t always the case. For a variety of reasons (especially if you’re NOT using a centralized ticketing system), response times can vary. Fewer support tickets can lead to increased support quality and, as a result, directly impact your bottom line. Second, creating a detailed knowledge base can provide positive SEO benefits. Detailed “how to” articles, guides and other helpful resources act as unique, custom content you can use to increase organic search traffic. Each of these pages has the same ability to rank in search results as any other web page. Lastly, creating a knowledge base can be one of the most profitable business decisions for your e-commerce business. It is also a relatively inexpensive undertaking, especially when compared to the cost of losing a customer. Arming customers with the information they need to resolve support issues on their own is an investment quickly paying for itself multiple times over. Many business owners operate with the limiting belief that live chat tools are only used for customer support. Instead, think of live chat as a support and sales tool rolled into one. A live chat tool gives you nearly instant access to customers who have “opted in” to provide direct feedback about your business. Think about being able to make customers aware of new products before they hit your storefront, upsell potential customers who have already expressed interest (or purchased) your products or instantly resolve any concerns before purchase. First, live chat can help your customer support team provide more consistent responses. Many live chat tools will allow you to set up prewritten or “canned” responses, which can help to establish greater consistency when dealing with customers. Second, live chat tools provide you with detailed, written histories of your interactions with customers. Essentially, live chat acts as a living history of your most common support issues. You should be regularly reviewing your chat history in order to identify common patterns, issues and problems. You can then use this information to create a knowledge base or a set of FAQs in order to help customers resolve their own issues. Response times are one of the most important metrics for a customer support team — and rightfully so. Each passing minute a customer is left without a resolution to his or her problem threatens your ability to establish a long-term relationship with that individual. Thankfully, centralized ticketing systems can handle this task quite easily. Help desk software can help you manage support tickets, track customer support interactions and respond to tickets in the order that they were received. Still, ticketing systems allow your business to manage support much more efficiently. If your business is handling customer support via email — and not yet using help desk software — implement a standard response time for all email inquiries. You can also use email autoresponders to cut down on the amount of back-and-forth between customer and support staff. Autoresponders are also useful in the event you want to point customers to resources and guides helping them resolve potential support issues on their own. Returns, exchanges and refunds are simply part of doing business. At least 30 percent of all products bought online are returned. You can’t avoid these types of transactions, so make it as easy as possible for all involved to get what they want (including yourself). Explain your return policy in plain English; this is neither the time nor the place to use jargon or legalese which no one will understand. To be frank, customers aren’t idiots. They’re humans who want things explained in terms they can understand. What’s more, customers appreciate simple, easy-to-understand returns. In fact, nine out of 10 consumers say they’ll buy something again if the return policy is completely simple. Your return policy can influence a purchase decision, particularly in instances when a customer is not 100 percent sold on the product. Don’t give them even more reason to doubt your business. Use these best practices to establish a return process your customers appreciate. If you’re active on social media, chances are you’re already addressing customer issues. At this stage, you don’t really have a choice. In fact, 67 percent of customers have used a company’s social media channels to resolve customer support requests. In fact, you don’t have to look far in order to find published case studies from businesses who have successfully used social media as a customer support tool. Nowadays, most consumers understand their lone voice has the potential to reach thousands upon thousands of people. As you may have guessed, that’s both a good and a bad thing for business owners. Again, help desk software can make managing customer support via social media much more effective. Most help desk tools will allow you to integrate your various social media accounts so you’re able to manage all customer support via one, easy-to-use interface. Prioritizing customer support can be the difference between success and failure, particularly in an increasingly crowded marketplace expected to reach $523 billion by 2020. Implementing a customer support strategy is a highly personal decision — one requiring a unique approach for every business. Unfortunately, there isn’t a blueprint to guarantee success.